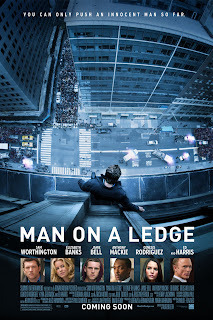 Nick Cassidy (Sam Worthington) is the ‘man of the ledge’… he wants to prove his innocence and clear his name of being falsely accused for stealing a $40 million diamond from businessman David Englander (Ed Harris). Now how does he do it? 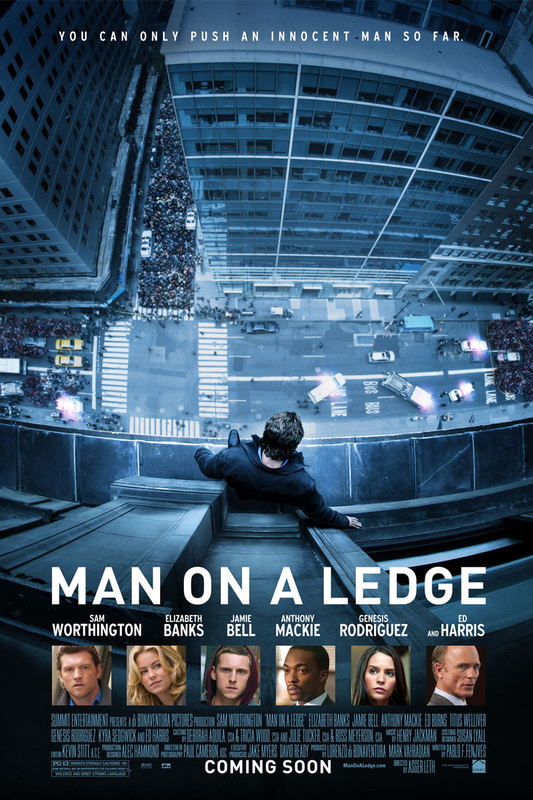 He creates the ultimate distraction by grabbing the attention of the cops and the pedestrians towards him while his brother Joey (Jamie Bell) and Joey's girlfriend Angie (Genesis Rodriguez) try to steal the real diamond from David Englander. Lydia Mercer (Elizabeth Banks) is the negotiator who tries to keep Nick Cassidy form jumping off… her role is not really needed, why they put her there? I’ll never know… well she was wearing a see through dress in her introduction scene… I guess… they just badly wanted to include that scene. The movie starts off with a bang… it’s interesting and get you hooked and it’s not like your conventional action movie but the second half doesn’t deliver… and the ending is like any other action movie… predictable and with a lot of loose ends. This is where the director and writer went wrong… I mean the ending is what you walk out with it’s what stays in your mind after you leave the movie theater… you can’t go wrong there! Unfortunately they did… other than the last part of the movie the rest of it was nice… a good concept. No real acting skills displayed in the movie… just a nice concept backed up with some nice thinking on the part of the writer… wouldn’t be surprised if the writer did some jail time. Other than that it’s an average movie… starts off big and ends off tolerable.